Established since 1993, EPS Computer Systems Pte Ltd (“EPS”) is a market leader in providing IT talent management, IT contract staffing and IT outsourcing services. With offices in Singapore and the region, the company currently employs a staff strength of over 500 employees, many of whom are IT professionals and IT talents. These scholarship awards are made in support of student excellence at SIT, and help to inspire the deserving students to be the best that they can academically, with the bursary provided, it would help motivate the students to work hard to realise their educational potential to be the best that they can be and upon graduation hopefully, use their time or resources to contribute positively back to society. This bursary will also allow the students at Singapore Institute of Technology (SIT) to concentrate on their education without having to worry about finances, and it will also provide them with compelling first-hand examples of how successful enterprises and business owners are giving back to the community. 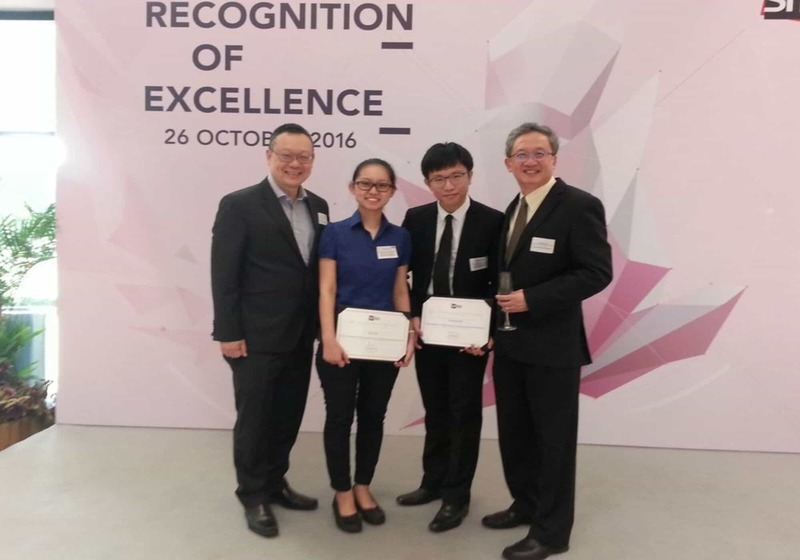 On 26 October 2016, Mr Kevin Liang presented students of Singapore Institute of Technology (SIT) Ms Tan Li Ying and Mr Tan Dong Xiang, with EPS Computer Systems Book Prize in Web Systems and Technologies, and EPS Computer Systems Scholarship respectively. These scholarship awards are made in support of student excellence at SIT and help to inspire the deserving students to be the best that they can academically. 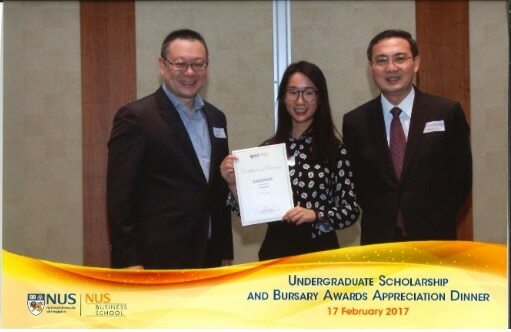 We congratulate Ms Tan Li Ying and Mr Tan Dong Xiang on their academic achievement and being recipients of EPS scholarship and book prize. 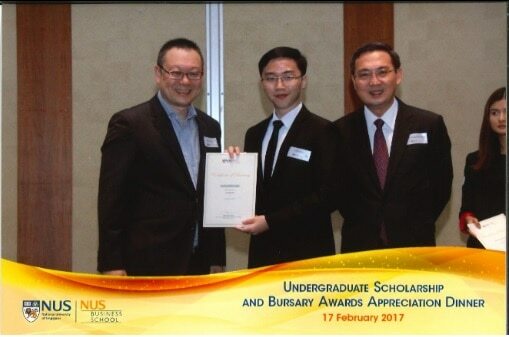 On 17 February 2017, Mr Kevin Liang presented the EPS bursary awards to 2 deserving NUS Business School students during the NUS Business School’s Scholarship and Bursary Awards Appreciation Dinner. Each Scholarship, valued at S$6,500 is applicable for one (1) academic year. The Scholarship shall be used for the recipients’ educational expenses such as tuition fees, course materials, expenses for the overseas immersion programme conducted by the Institute, and fees for other educational activities organised by the Institute. The Recipient who has been awarded the Scholarship may apply for additional scholarships after a Scholarship has expired, subject to meeting the selection criteria. The recipient may be offered an Integrated Work Study Programme (IWSP) opportunity of up to 12 months with the Donor (where applicable). Subject to agreement by the Donor, the Scholarship recipient who is offered an IWSP opportunity with the Donor is encouraged to complete 12 months of IWSP with the Donor. Recipients of this Scholarship may accept other scholarship(s) concurrently. 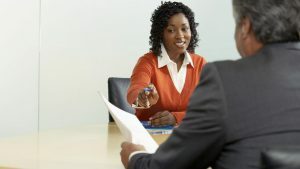 The processing time for private bursaries varies as the assessment process includes interviews for shortlisted applicants before recommendations are made to the awarding organisation. Generally, other than a good interview performance, scholarships are awarded based on merit. Applicants are expected to have excelled academically, possess strong leadership qualities.